Interfaces with : Tablet or Smartphone, iOS and Android. 80 Elements Wireless Convex Ultrasound Scanner SIFULTRAS-5.24, FDA Cleared. 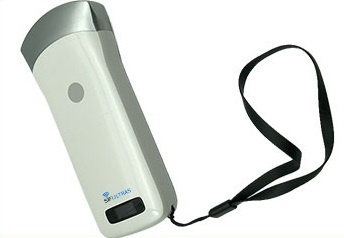 80 Elements Wireless Convex Ultrasound Scanner SIFULTRAS-5.24 is Portable, pocket-sized and free of wires. 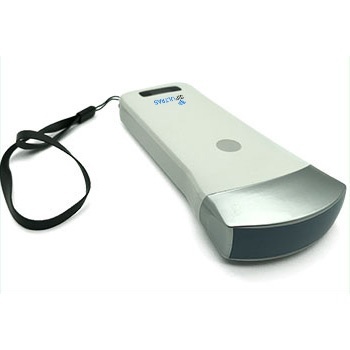 The convex probe comes with a tablet. And it has a wireless WiFi connectivity so it interfaces with your tablet or smartphone. Allowing applications that were previously unthinkable for medical staff on their rounds. Visits to home-care patients or during emergency interventions in the field. 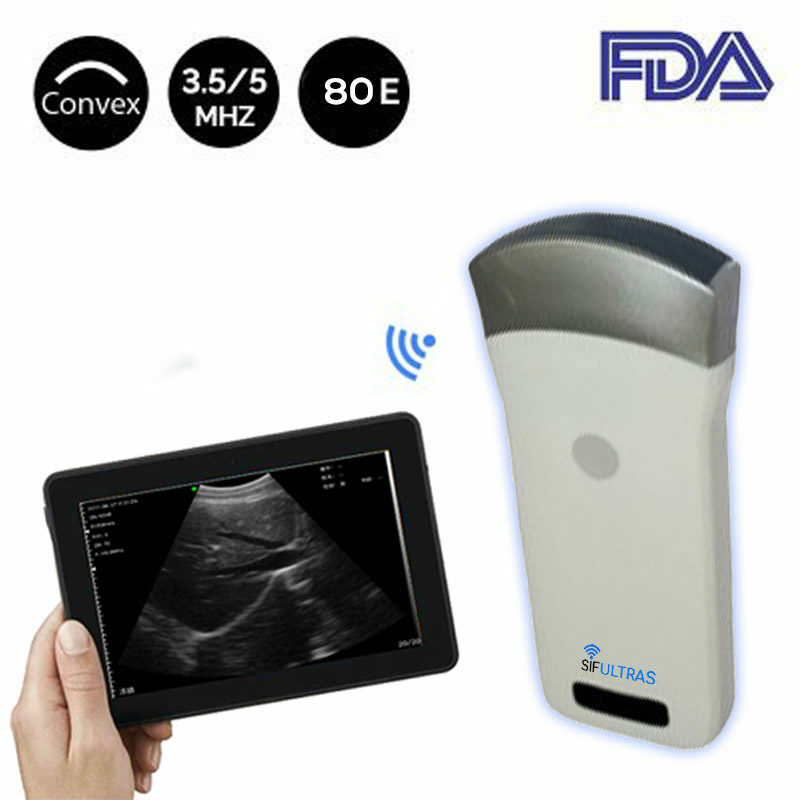 80 Elements Wireless Convex Ultrasound Scanner SIFULTRAS-5.24 simplify and speed up the patient’s diagnosis in support of the clinical hypothesis. 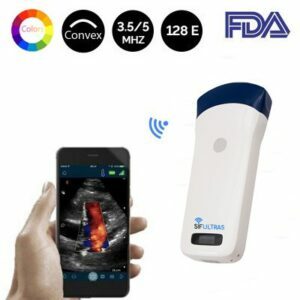 Portable, pocket sized, free of wires: 80 Elements Wireless Convex Ultrasound Scanner SIFULTRAS-5.24 has a huge potential in the field of ultrasonic investigations and first aid, and they permit the choice of the drugs to be administered to the patient. 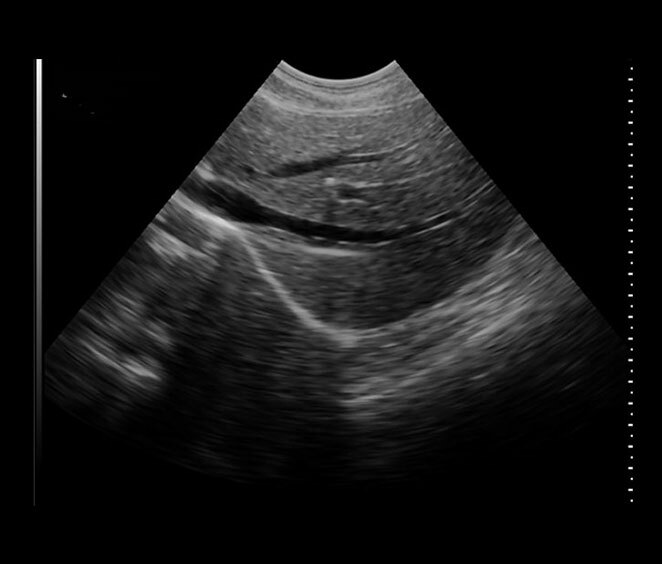 They interface easily with a tablet or smartphone (Apple iOS or Android), and the dedicated app can be used to view the ultrasound signal, store images and send them by e-mail. In outpatient settings with no ordinary equipment (e.g. Consulting rooms). 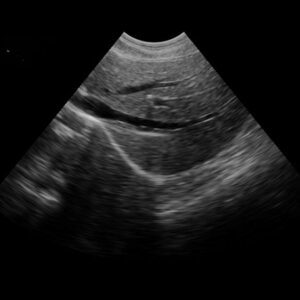 For intermediate physiological pregnancy check-ups: controls of FHB (Fetal Heart Beat) and FM (Fetal movements), controls of the presentation and the quantity of AF (amniotic fluid). By obstetricians for intermediate physiological pregnancy check-ups. 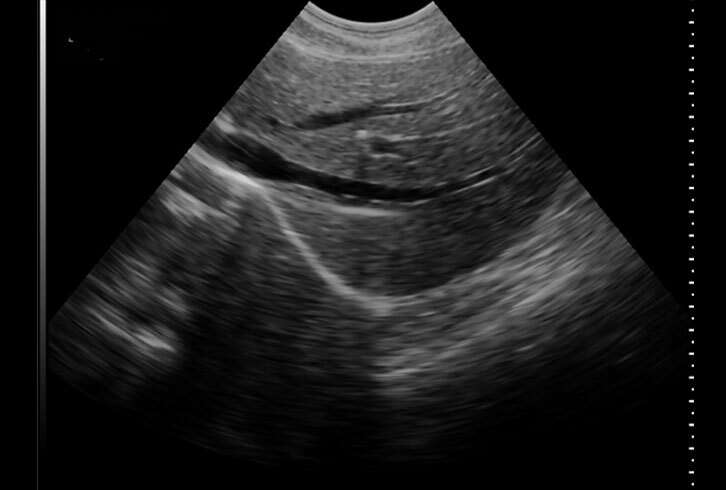 For Full-term pregnancy with a control of the presentation, the FMs (Fetal Movements) and the quantity of AF (Amniotic Fluid). For a check-up of the situation/presentation of the foetus. Monitor the position and level of presentation just before assisting with delivery. In the Delivery room as support for the Anesthetist in positioning the epidural catheter. During an attempt to turn the foetus for external manoeuvres in a podalic version/transverse lie. In assistance for twin births. 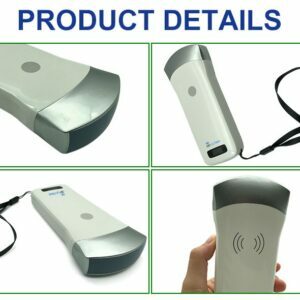 80 Elements Wireless Convex Ultrasound Scanner SIFULTRAS-5.24 is also used in inspecting the Cardiac Area and The abdomen. Thus, all the digestive organs, including the stomach, small and large intestines, pancreas, liver, and gallbladder. Works with Tablet or Smartphone. 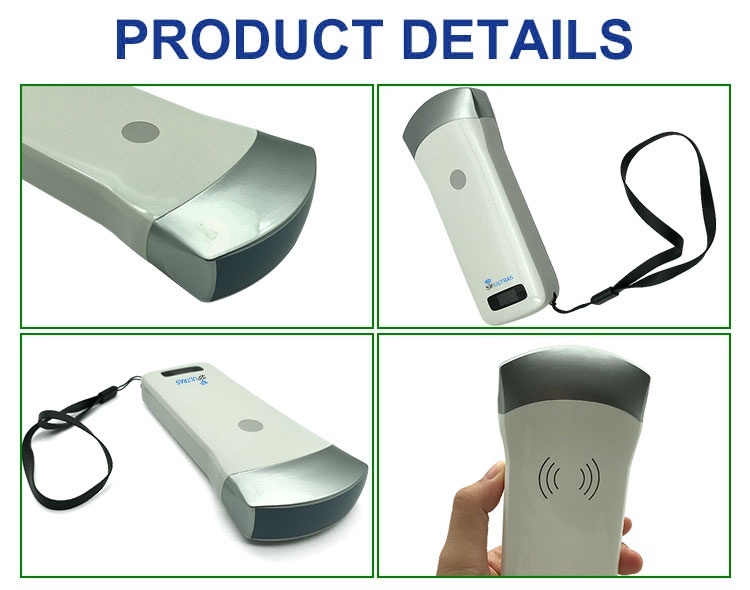 Scanning system : Electronic array. Frequency : 3.5 MHz / 5 MHz. Supporting system : Apple iOS & Android. Tablet or Smartphone. (Windows system coming soon). Display mode : B, B/B, B/M. Image gray scale : 256 level. Pseudo color : 8 kinds. Image Storage : Using intelligent terminal customers to use (mobile phones,Tablet PC) storage devices. Measure : distance, area, obstetrics and other. Power : by built-in battery. Power consumption : 10W (unfreeze) /4W (freeze). Battery working time : 3 hours. Software Supply System : Apple iOS & Android.